The introduction of the fourth-generation Apple TV brought with it a huge emphasis on trying to bring mobile gaming into the mainstream by having a connected App Store on high-definition television sets in the living room. Given the number of excellent games on the tvOS App Store, and the number of third-party controllers being launched, it’s fair to say that the new Apple TV has been a success in terms of gaming. But let’s not forget that there’s still a very big market for gaming on true mobile devices, like Apple’s iPhone, with the newly released Gamevice Lightning-connected controller aiming to appeal to those gamers. 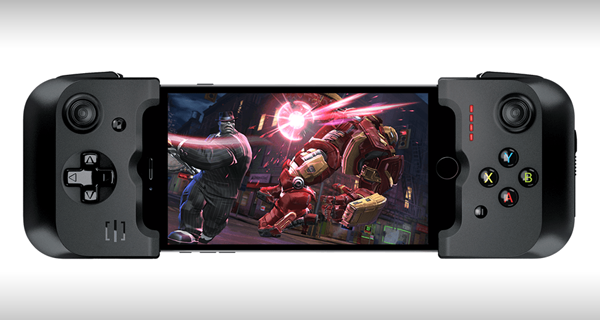 The newly released Gamevice game controller focuses entirely on the newer iPhone models market by offering compatibility with last year’s iPhone 6 and iPhone 6 Plus, as well as this year’s slightly thicker iPhone 6s and 5.5-inch iPhone 6s Plus. Like the Logitech PowerShell for iPhone 5/5s before it, Gamevice also takes a different approach from other gaming controllers that are focused on connectivity via the wireless Bluetooth protocol by embracing Lightning connector for connectivity instead. But unlike the PowerShell, the true flexibility of the Gamevice comes from the fact that it can support both 4.7 and 5.5-inch handsets thanks to its unique design. 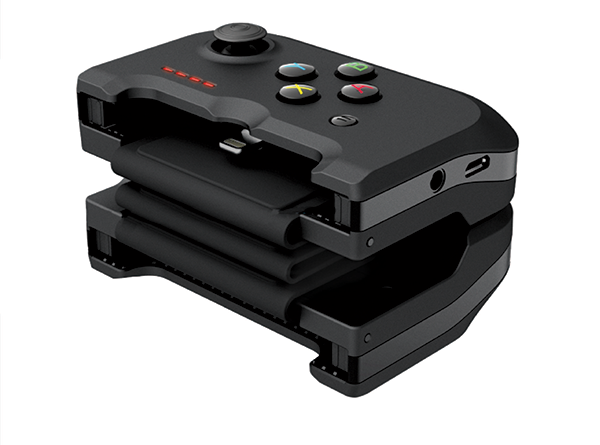 The collapsible, travel friendly design of the controller makes it a truly mobile and portable piece of kit for those mobile gaming fans. It also features an LED panel on the main controller that provides visual feedback to the gamer, thanks to a built-in lithium-polymer 400 mAh battery. As part of the MFi program, the Gamevice offers the build quality that you’d expect, as well as all of the expected inclusions that you would want from a modern gaming controller; two joysticks, one D-pad, four in-game control buttons, a pause button, and even R1, R2, L1, and L2 buttons that you’d find on a console controller. The Gamevice makes a name for itself by being one of the few controllers to deviate away from integrating Bluetooth for connectivity. It certainly separates the hardware from the iPhone gaming controller crowd, but it also means that if Apple chooses to move away from Lightning in favor of USB-C in future iPhone models, then it simply won’t be compatible going forward. 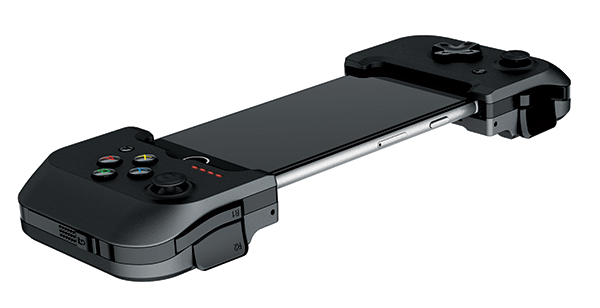 The Gamevice controller for iPhones is available for $99.9, with a model designed for the iPad mini available as well.